Aaron Started the charity Aaron’s Rock Your Socks in march all on his own without it being a school project or anything he that he was required to do, instead he had heard a story about another young man, 9 year-old Dario Gouveia, who collected shoes for the needy, managing to get over 4000 pairs. Aaron gather socks for those of all ages, he had originally been trying to raise 1000 pairs of socks but he now has far out reached that goal. 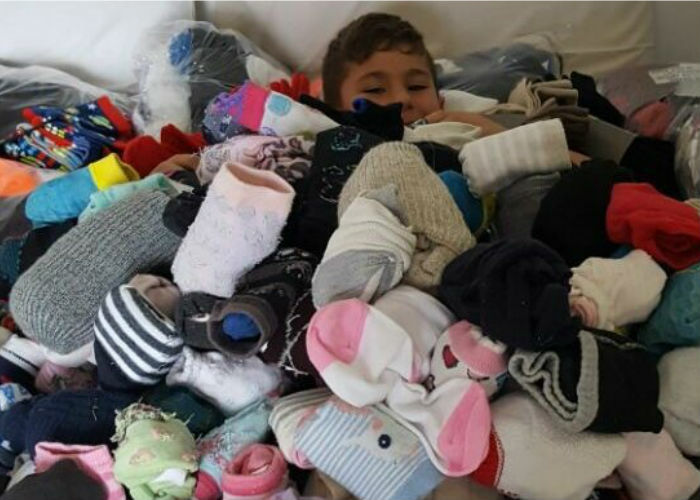 When donating clothes to charity we often forget the basics that are needed such as socks, but now Aaron is reminding us all, how important are things that we view as ‘basic and non essential commodities.’ Now his school has also gotten involved by having a Sock Day. One of Aaron’s favourite charities to donate to is the Dukes Soccer Club from Alexandra Township in Johannesburg.